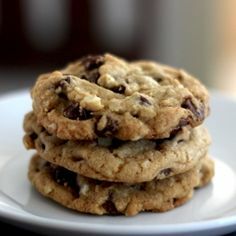 These cookies are super moist and delicious. The icing makes them special. Mix sugar or honey, butter, egg and carrots. Stir in flour, baking powder, salt and vanilla. Fold in coconut and walnuts. Drop by heaping tablespoon onto non-stick cookie sheet. Icing: Mix powdered sugar, orange peel and just enough orange juice to make icing desired consistency. 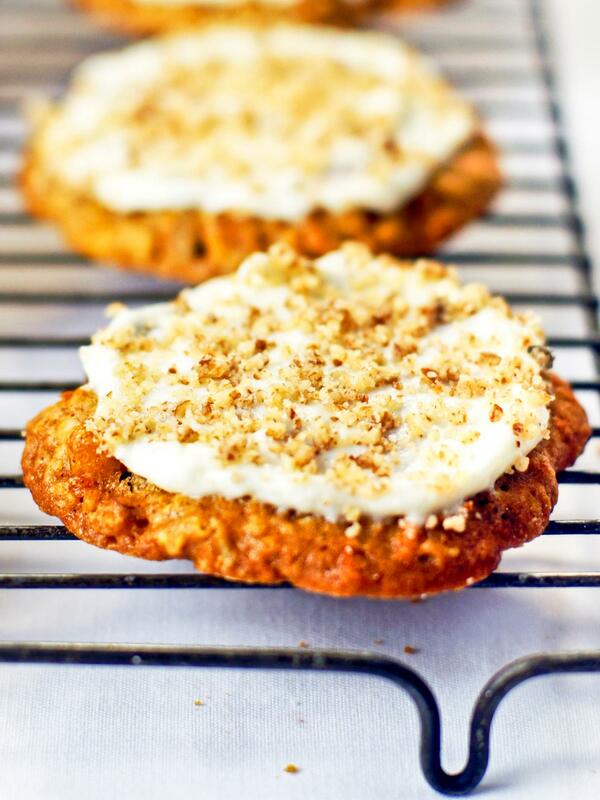 When cooled, frost cookies and dust with walnuts. This state fair winner is completely from scratch. Taste the difference of real chocolate cake and homemade icing. 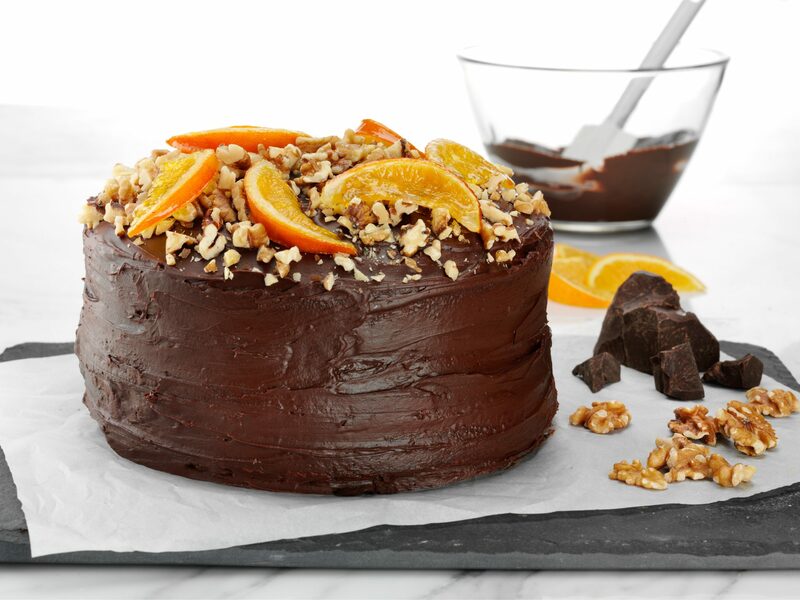 This will become your family’s requested birthday cake. Melt chocolate in a small bowl in microwave at 50% power, stir often until melted; let cool. Grease and flour 2 cake pans. In a large mixing bowl beat butter. Add brown sugar and eggs and beat until light and fluffy. In a separate bowl, mix together flour, baking soda and salt. Stir in dry ingredients alternately with sour cream. Mix in boiling water. Batter will be thin. Pour into pans and bake for 30-35 minutes. In a medium bowl, combine sugar, milk and vanilla. Put this bowl in a larger bowl of ice and stir until frosting is firm enough to spread. Rough and ready cookies are full of delicious chunks. Every bite is a little different…and good! Mix flour, baking soda, salt and baking soda together and set aside. Cream shortening and sugars, then add eggs and vanilla. Drop by heaping tablespoon onto cookie sheet. Easy to make and on another level over store bought. 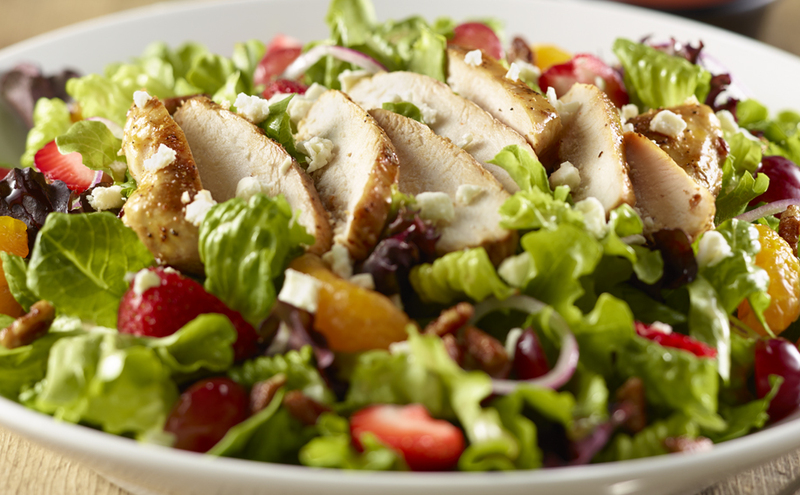 Customize it to you and your families tastes. In a large bowl, combine oats, wheat germ, flax seed, coconut, sunflower seeds, sesame seeds, and nuts. Mix well. In a large saucepan, combine brown sugar, water, oil, honey, molasses, salt, cinnamon, and vanilla. Heat until sugar is dissolved, but do not boil. Pour syrup over dry ingredients and stir until well-coated. Spread evenly on five 9X13 pans. Bake 20 minutes and stir. Bake another 20 minutes and remove from the oven. (Bake longer for crunchier texture.) Cool. Add raisins or other dried fruit. Store in airtight containers in a cool, dry place. 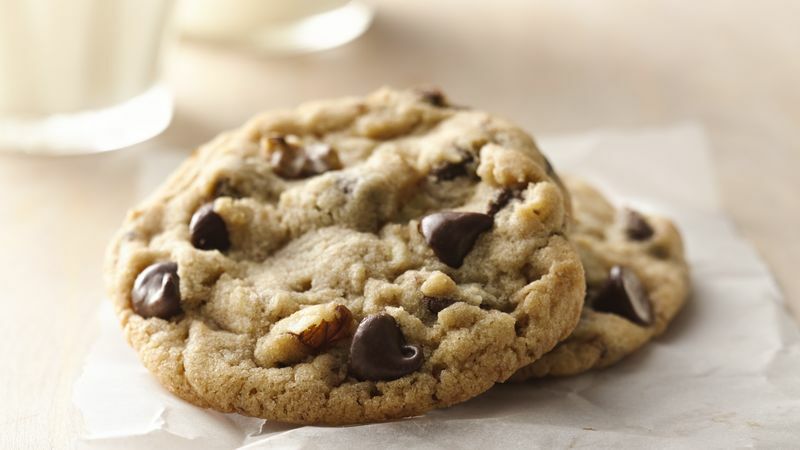 These cookies have a great nutty-chocolate crunch. Big chunks of macadamia nuts set them apart. Cream together butter, sugars, vanilla and eggs. In a separate bowl mix together flour, salt and baking soda. Add this mixture in gradually with creamed mixture. 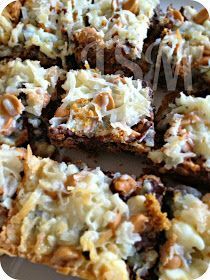 Fold in coconut, chocolate chips and macadamia nuts. Drop batter by well-rounded tablespoonful onto ungreased cookie sheet. Bake 12 to 14 minutes. Be careful not to over bake! State fair winning recipe also makes for a super coffee cake on weekend mornings. In a large bowl, combine the cake mix, 2 eggs, butter and 1 teaspoon vanilla; beat until well blended. Spread into a greased 15-in. x 10-in. x 1-in. baking pan; set aside. In another bowl, beat the cream cheese, confectioners' sugar, preserves and remaining vanilla. Add remaining eggs; beat on low speed just until combined. Gently spread over cake batter. 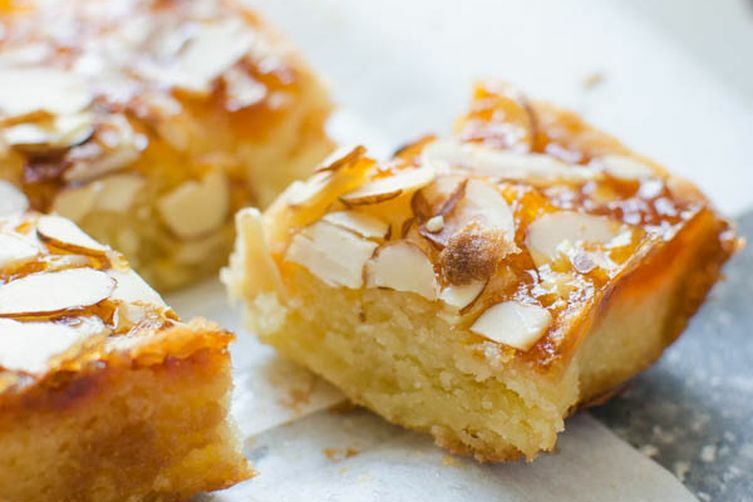 Sprinkle with coconut and almonds. Bake at for 25-30 minutes or until golden brown. The simplest no mess recipe for bars everyone will love. Nothing to clean up except your measuring cups! Pour butter into a 9” x 13” pan and tilt to each side so butter covers bottom. Place ingredients by layer in order shown. Do not stir. Bake 28 to 32 minutes or until lightly browned. Set aside 2 tablespoons almonds for garnish. 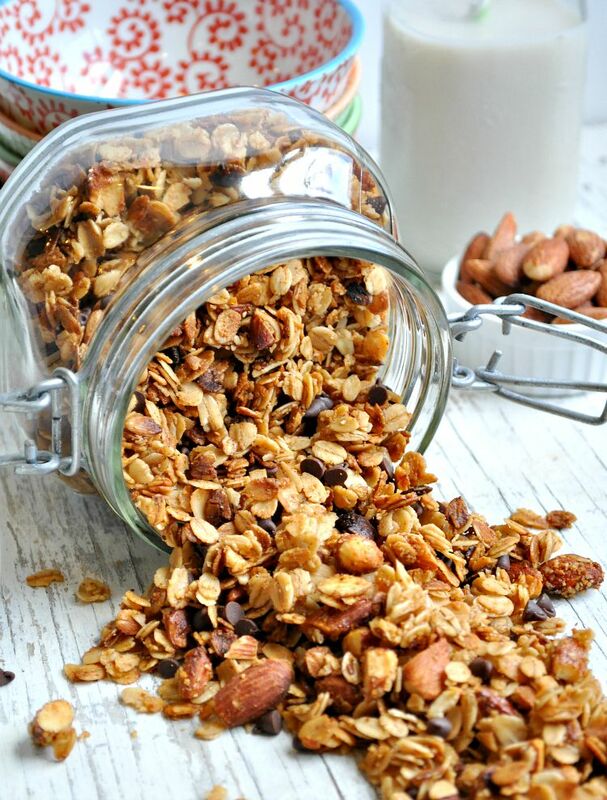 Coarsely chop remaining almonds and sprinkle into a greased 9-in. spring-form (cheesecake) pan. On a stovetop on low heat, melt chocolate chips stirring until smooth. Set aside. In a small saucepan, sprinkle gelatin over cold water; let stand for 1 minute. Cook and stir over low heat until gelatin is completely dissolved. 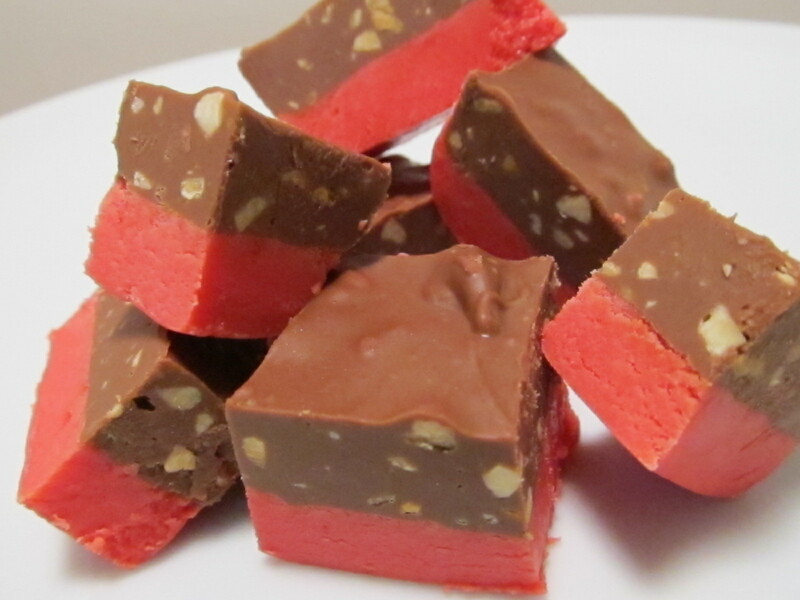 Pour gelatin and melted chocolate into cream cheese mixture and blend in until smooth. 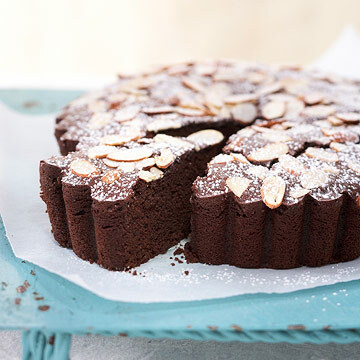 Pour into prepared pan and sprinkle with reserved almonds and a light coating of powdered sugar.